Travelling With A King : the first travel guide about Michael Jackson ! 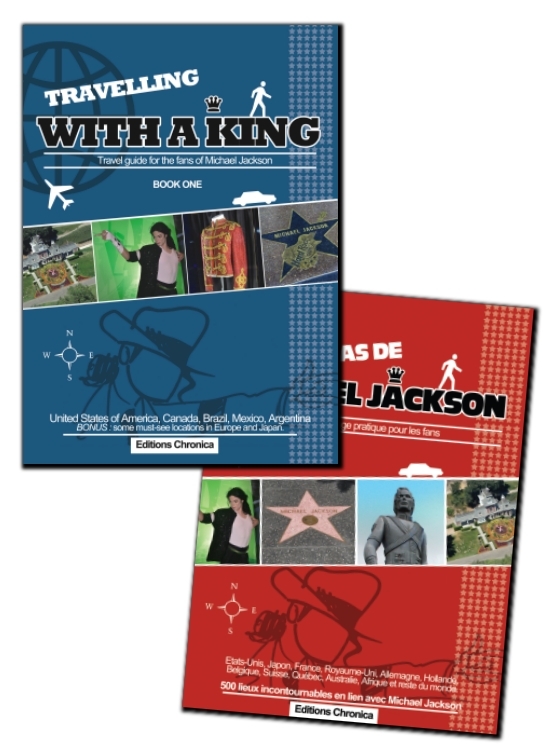 Travelling With A King is the first ever travel guide totally dedicated to Michael Jackson. This fully colored and glossy paper book contains hundreds of places linked to the King of Pop, from studios to houses, venues and statues,… You’ll find everything you need to know including historical and geographic details about each location. Travelling With A King – Book 1, is the first part of this totally unique travel guide. Book one contains North, Central & South America and, as bonuses, a few selected places of Europe and Asia.. Its A5 format and light weight will make it easy to bring it with you every time you travel. Get it now !